Mary Ann Docktor-Smith is an avid collector, expert and historian of Florenza jewelry manufactured by the Dan Kasoff Co. She is preparing a guide to this wonderful jewelry and its creator. Click photo above to view the photo gallery of Florenza boutique items. One frequently-asked question concerns the types of chains that were used for Florenza combination pin/pendants and pendants. These items have a simple hook that is looped around the chain and many times, the original chain has been removed and lost. 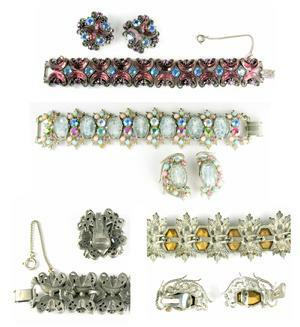 In the pictures at left, you'll find examples of original chains for this type of Florenza piece. The chain types include large etched rings, multiple rings, faux bookchain, paperclip and decorative disks. Note that all of the original chains that I have found for Florenza simple hook pendants use a foldover clasp rather than a spring ring. 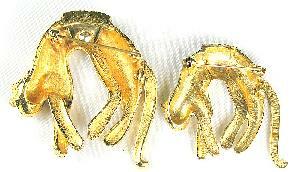 While the company did use spring-ring clasps for other types of necklaces, it is likely that only foldover clasp chains were sold with the simple hook pendants and pin/pendants. The photo at top shows an imposter! 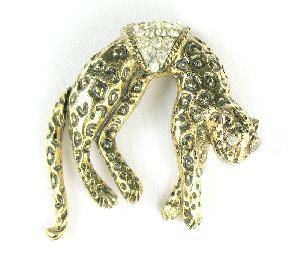 Though this piece is identical in size and general construction to the cheetah pin manufactured by Dan Kasoff, it has some noticeable differences including a metal plating and finish that clearly identify it as not being a Florenza piece. 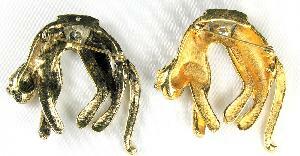 The second photo shows the imposter on the left and the signed Florenza cheetah pin on the right. The bottom photo shows the backs of the two pins. 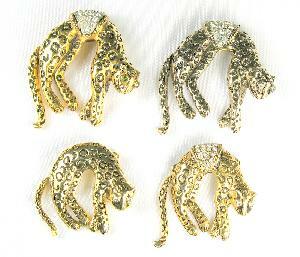 Dan Kasoff produced a smaller version of the cheetah pin without the Florenza mark. The top photo shows the larger imposter and the same-size Florenza-marked authentic pin. At the bottom, you'll see two smaller versions: One without a rhinestone saddle (not produced by Kasoff) and the smaller authentic version. 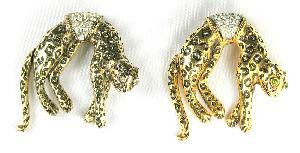 The bottom photo shows the backs of the authentic cheetahs side-by-side. Imitation may indeed be the most sincere form of flattery! 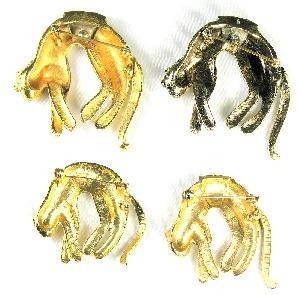 Here's a grouping of pins using the same basic design. 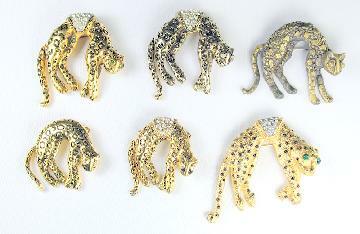 The cheetahs manufactured by Dan Kasoff are the first one in the top row and the middle one in the bottom row. Dan Kasoff's first company was Kaywin Novelty, started in 1931. 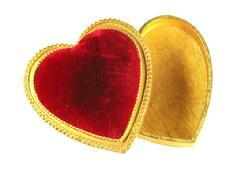 They produced pins, clips, brooches, belt buckles, sew-ons and buttons. The pieces have diverse styles and constructions. To the left is one of my favorites; a millefiori glass cabochons and imitation turquoise brooch measuring 2 1/2" x 2". Note that the mark was incorrectly prepared for the casting and reads in reverse. Go to the next page for a great article about unsigned Florenza.